Thanks go to Pete Mohan of Six Flags Worlds of Adventure Aurora Ohio, Mike Shaw of Sea World San Diego; Mark Smith of Oceanrio de Lisboa, Frank Steslow of New Jersey Aquarium and Victor Lin, Taiwan for sharing information and photographs. 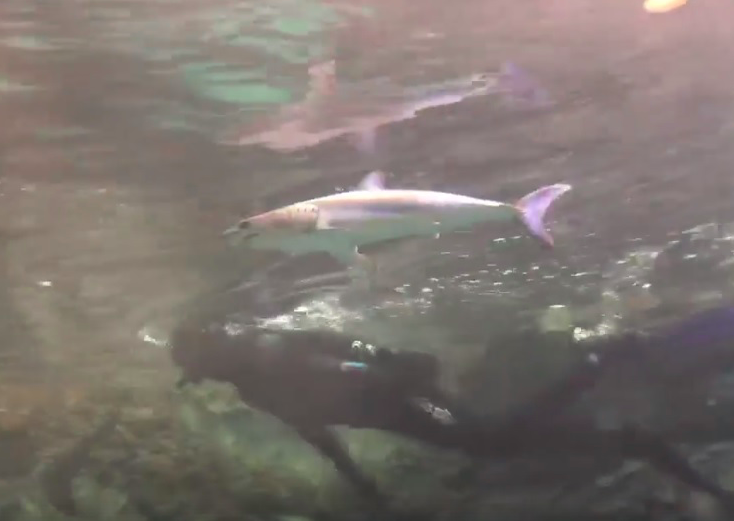 Sea World tried a couple of shortfin makos in the Shark Encounter Exhibit. The fish were in in the range 1.0-1.4 m TL. 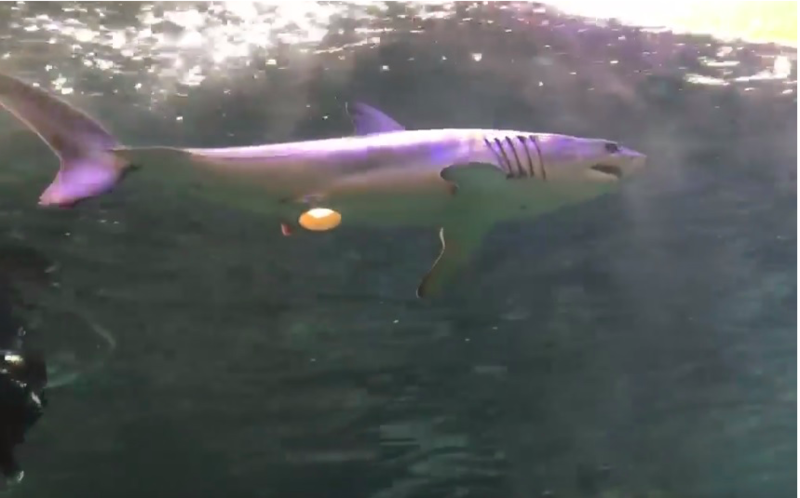 They were captured locally (Off the coast of San Diego, California) and transported by boat in what has become the standard shark shipping box with pump and oxygen, the flow of which was directed into the shark's mouth and over it's gills. Transport time was about one hour in each case. 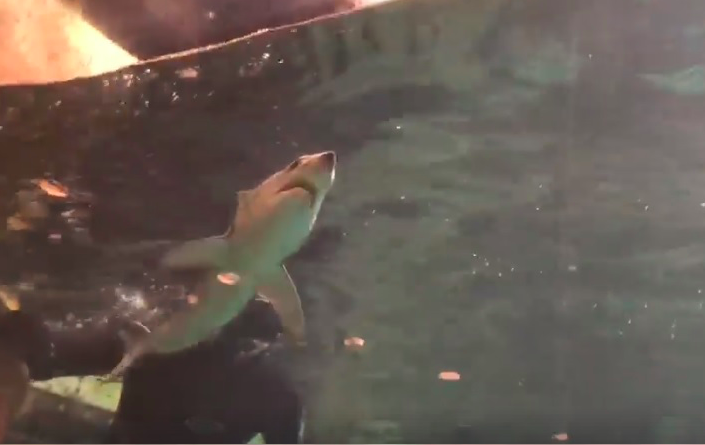 Neither shark adapted well to our 400,000 gallon display. They had trouble avoiding the walls, swam stiffly, and after 24 to 72 hours they finally ran into the wall, sank to the bottom and died. 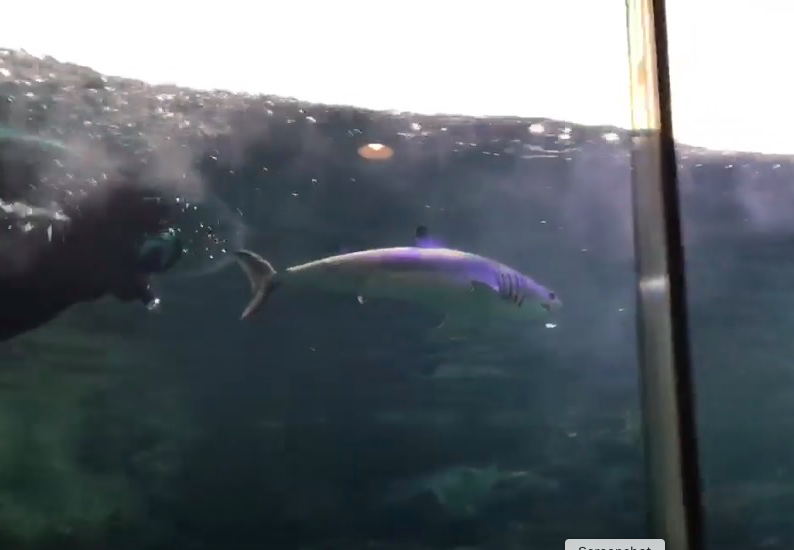 The Suma Aqualife Park of Kobe, Japan has a juvenile mako in their tank. Information and images from a closed Japanese FB shark group. From Victor Lin on 8 Jan 2019. Second photo. Third photo (allows size estimate). Fourth photo.